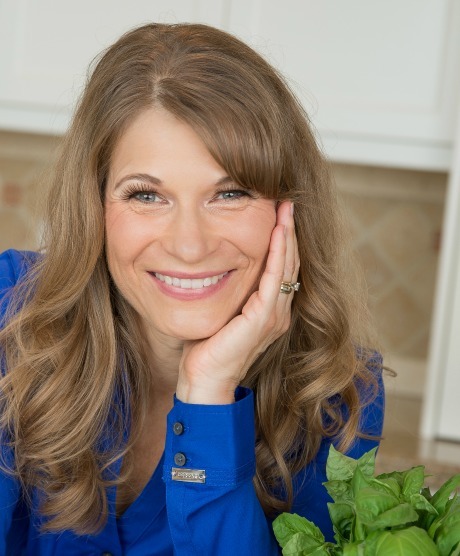 The Conscious Health Coach (TCHC): Robin, what were some of your goals when we first started working together? Robin Reed (RR): Well, I wanted to start an exercise program, one that I could really commit to and make a part of my life. I also wanted to add drinking water to my routine each day, and I wanted to make more healthful food choices and add variety to my diet. I am also a migraine sufferer, and I wanted to try to reduce the number and severity of migraines that I experience, as well as find better ways to handle migraines when they occur. TCHC: So, were you able to accomplish some of these goals? RR: Yes. I am now hydrated! I am exercising more. And I am definitely making better choices about foods and drinks. TCHC: Can you tell me more about the nutritional changes you’ve made? RR: I am eating healthier, especially at breakfast and lunch time. I learned that by eating a more sustaining breakfast, I don’t crash in the afternoon. I have reduced the amount of sugary drinks and snacks I consume. I have cut out probably 75% of my excess sugar. Now I make conscious choices about what I eat and drink. As a result, I have more energy now. TCHC: How about on the emotional/spiritual side? Has anything changed for you in those areas? RR: Yes! I have realized that I have to put myself first. I am taking time to appreciate life more, and I’m valuing myself more. I’ve started a meditation practice, and will also treat myself to a massage or facial now and then. Exercise has become a part of my life. All these things help reduce my stress level and make my life more enjoyable. TCHC: What about those migraines? RR: Well, I still have them on occasion, but I am now better able to keep eating and drinking water when they occur. By keeping myself hydrated, I’ve found that I have greatly reduced the vomiting, which was severe at times. In the past, a migraine episode could knock me out for several days and require numerous injections of pain medication, which was very expensive. Since working with you, I haven’t missed a day of work in six months, I’ve used less medication, and I haven’t had to go to the hospital due to a migraine. TCHC: Can you list some of the specific practices I taught you that you’ve adopted? RR: Sure…..I started drinking a glass of water with lemon each morning when I get up. I started paying attention to the sugar content of any packaged foods that I eat. I make sure to eat salads and leafy greens every week. I’ve been reading nourishing and supportive books and magazines, and taking walks on the beach. All of these are simple and very doable things, and they really do make a difference. TCHC: What are some of the positive changes that you’ve seen in your life since you started working with me? RR: There are many! I have more energy and am feeling more positive, even during stressful times. I am more personally aware of the choices I make, and am handling stress and life more effectively. My thinking is clearer and more intentional. I even continued exercising and drinking water when I was on vacation. Also, I’ve been trying some new things like taking a cooking class and going to the farmer’s market. Really, I’ve just been taking much better care of myself, and am choosing to experience more joy. I feel more balanced, more joyful, and lighter. 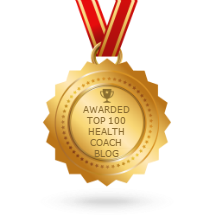 TCHC: How would you describe working me as your health coach? RR: Lisa, you are amazing! You are supportive and non-judgmental. You saw what needed to be done and gently coached me in the right direction. In fact, I have told just about everyone I know about you, and will continue to do so. TCHC: Congratulations Robin! I love the way you embraced your self-care and stepped outside your comfort zone throughout this program. The changes you have created in your physical body and in your life are inspiring. Thank you for allowing me to walk this path with you.